Not very often do we get a chance to put a large balloon arch indoors! 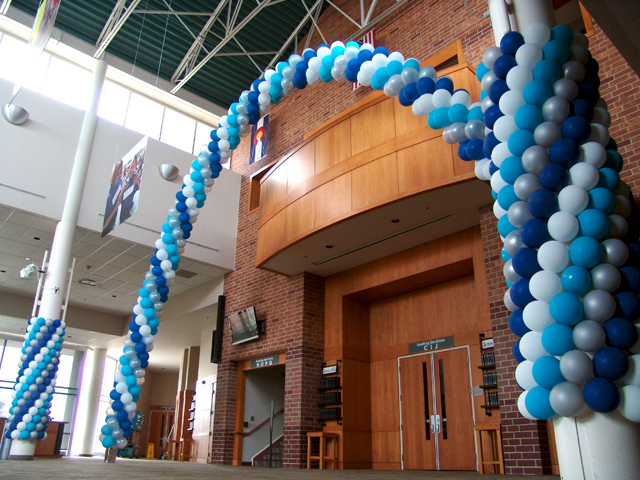 Usually you have a hard time just making a small balloon arch fit. 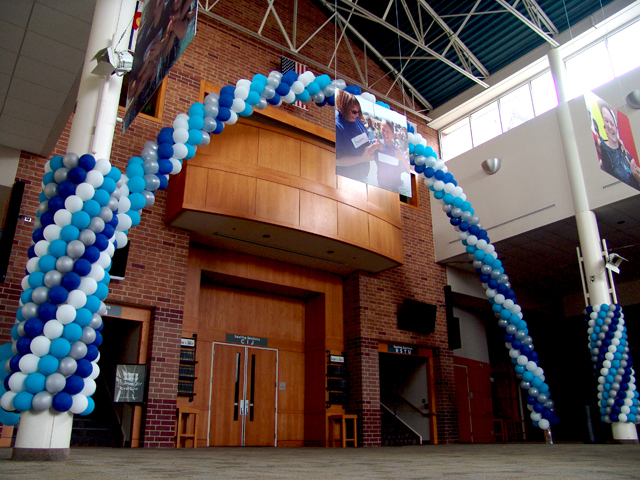 This is a sixty five foot arch and as you can tell there is actually room for an even larger balloon arch. This makes for a very fun and exciting focal piece, if you have the space to do it. Combine it with our balloon column wraps and the party starts to come alive!